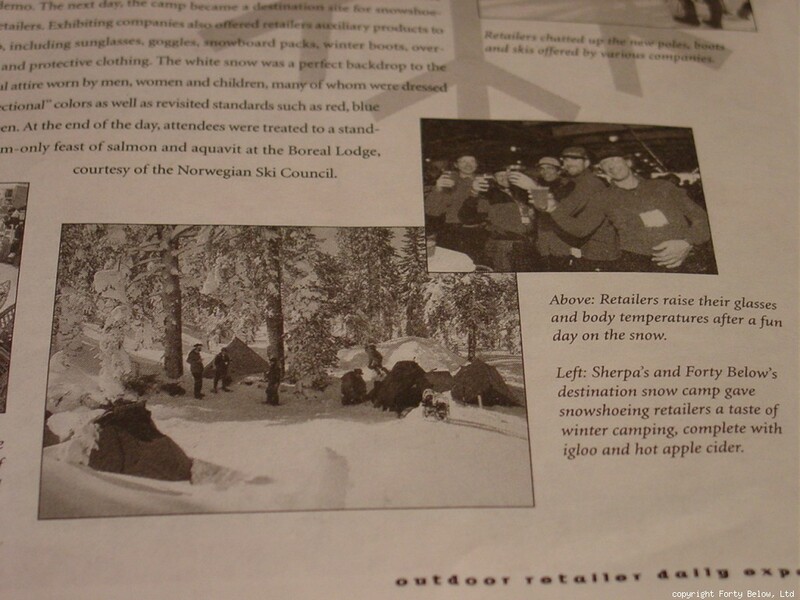 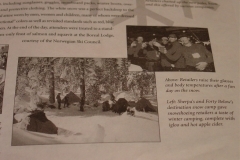 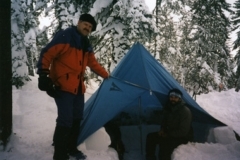 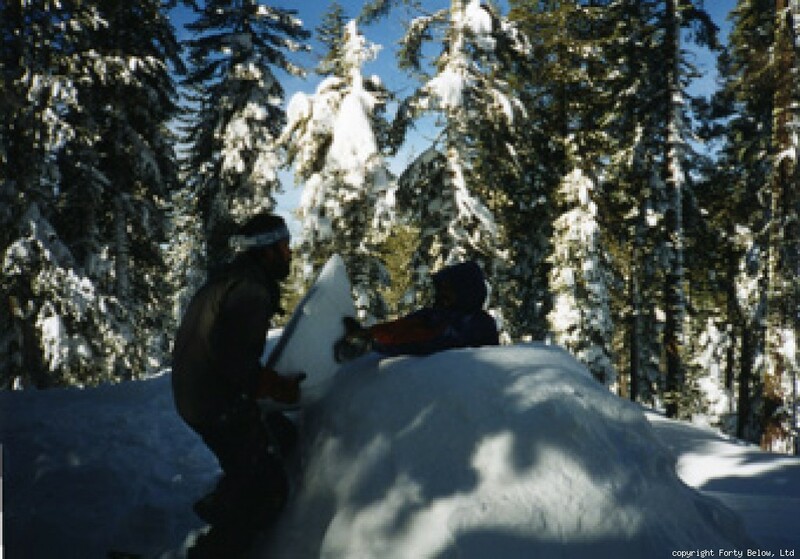 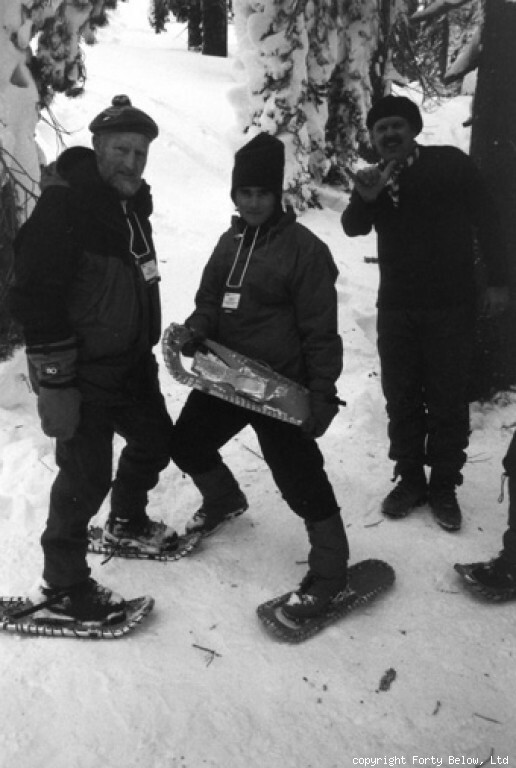 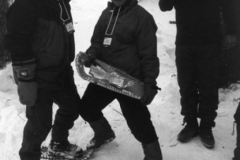 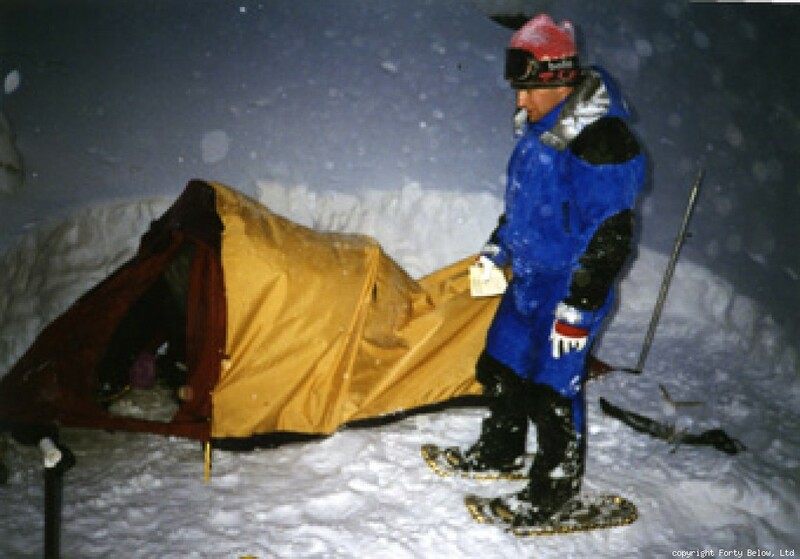 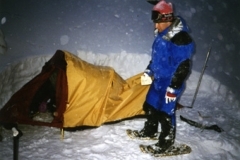 In 1996 Forty Below developed and co-sponsored with the Sherpa Snowshoe Company a “model winter camp” set up for testers from the Outdoor Retailer Trade Show during the “On Snow Demo Days” to be able to walk out to and see a real winter camp in action! 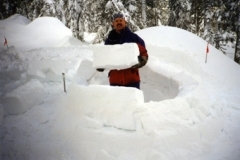 We made, stayed in, and maintained all of the typical winter camp features including an igloo, snow caves, tent, and cooking pyramid shelter. 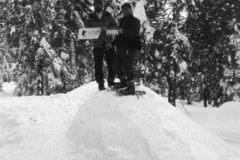 It was a lot of fun! 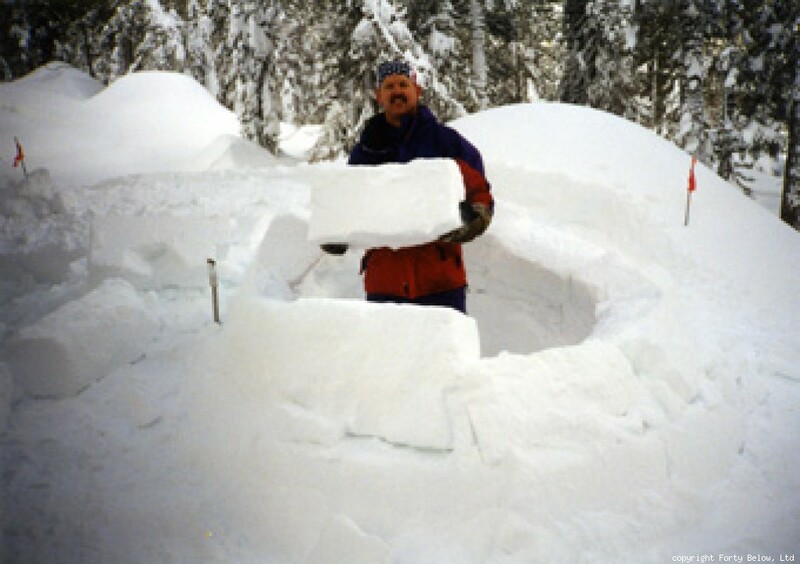 This turned out to be quite a hit, with plenty of testers being taken on the tour, and numerous people being able to see and go inside a real igloo for the first time! 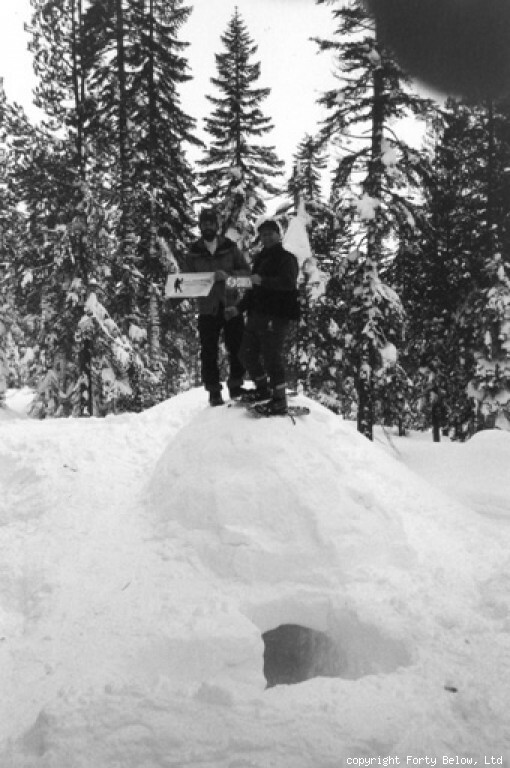 Forty Below Founder, Bill Lokey, and Joel Attaway and Chris Perry were the Forty Below team and coordinated and built the winter camp. 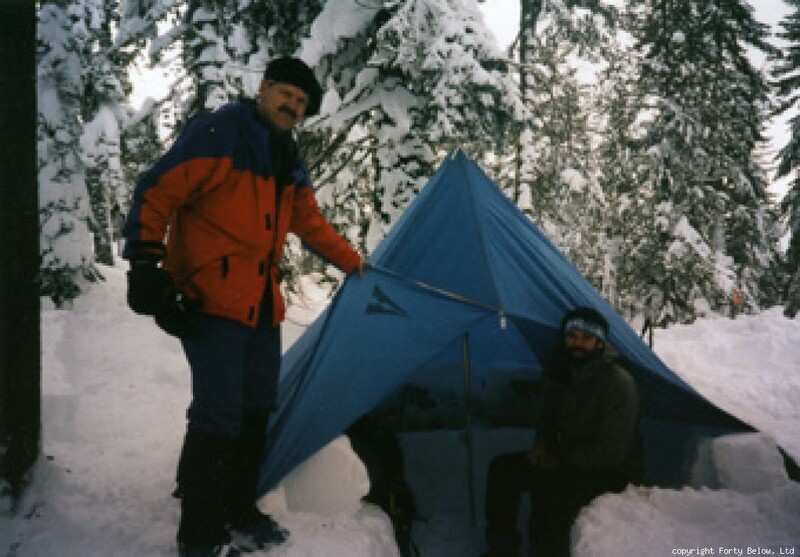 Bill Prater, founder of Sherpa Snowshoe company, and Ken Kutac, tester and “snow shelter builder extraordinaire” lead tours of snowshoe testers to the camp. 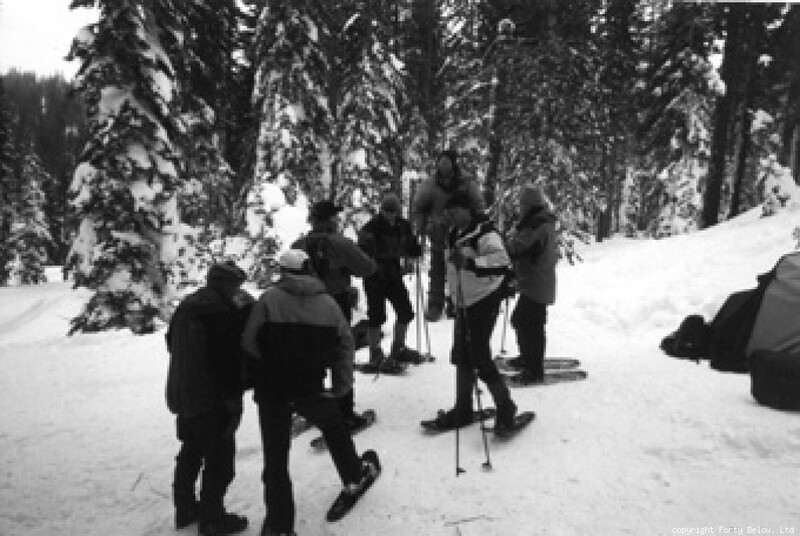 The event was held at Donner Pass, CA. 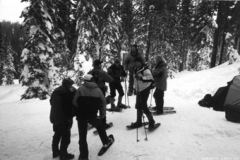 Here are a few pictures from this fun event!